Digital Transformation by the virtue of automation is transforming the modern world economy at a fast pace. The basic of robotics process automation development is that it is designed to automate time taking manual tasks. In businesses today it helps to cut off the human error and enhance productivity in the market. The only drawback with RPA is that it does not have the ability to be cognitively aware. This situation leads to the intervention of Artificial Intelligence into the process. The combination of AI and RPA is contributing to the tremendous growth of businesses in the competitive edge of the world, it becomes important to rightfully use their power tools. AI and RPA when work together can offer complementary synergies to the market. Often, RPA is talked about in context to AI, but it is essential to understand that these two are varied processes. RPA is structured to perform repeatable manual tasks to release human so that they can focus on other activities. The automated system can perform paper-based work like entering information in the right field or correct the recurring errors in a particular task. It has been projected that the accuracy and compliance of RPA can offer a $3 billion growth to market by 2025. On the other hand, AI works on the plot of intelligence including speech and image recognition, decision making and prediction methods. Analyzing the demand of the technology, McKinsey predicted that AI can deliver $3.5 to $5.8 trillion value per annum. Data scientists say that AI centric programs tend to upgrade themselves to become smarter by learning through patterns and provided data-based algorithms. How RPA can aid the AI app learning process? If the data scientists have coded a complex mesh of software rules, AI apps are more likely to tackle that complexity with ease and attain another level of intelligence going through the process. Whereas, RPA can be employed to collect more and more critical data on which AI apps can perform. Gathering a large set of data has always been a challenge in building AI effective programs. This is when RPA comes into the picture. RPA can not only collect a bulk of data but also helps in speeding up the AI development. Its ease at the repetitive task will free up the scientists to focus more on developing algorithms to train AI based apps. How AI can aid RPA to perform intelligently? Looking at another aspect of the collaboration, we can say that the contribution of both the technologies in business goes hand in hand. AI when paired with RPA, is capable of doing incomparable tasks to provide higher efficiency. 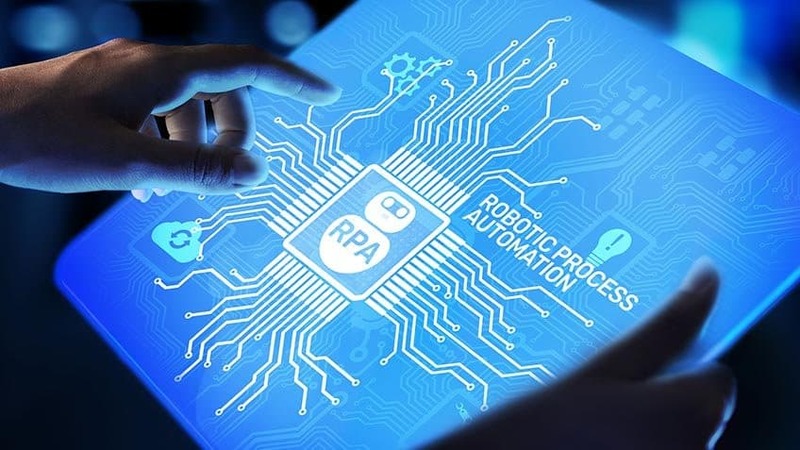 While resonating with AI technology, RPA can evolve into its improved form – from gathering information and sharing it with different systems, using the gathered information to make better decisions. RPA based programs can utilize AI-program information to determine the prime proposal for a particular business. What challenges engineering team faces while creating AI+RPA applications? • Developing software for AI+RPA applications creates several issues for software engineers. • As the joint development process needs more than one team to handle RPA and AI functionality. • Good coordination is required between the teams. • Appropriate planning and communication are essential by the working teams. • There should a record of actions which can be communicated and conveyed to others related to the development process. • Since RPA has a great velocity of churning information, the developers and professionals need to pay extra attention to it. • Even a single course of error can create a heap of problems in the system. If a business can take over these challenges and proceed further with the application which is an amalgamation of AI and RPA technology, it will propel to best heights of capabilities and success. Such applications enable the organization to handle customer interactions and predict their behaviors for better customer-service provider relation. It can also allow data scientists to extract the data they need to develop AI apps to operate over more complex, high geared development cycles. Working with multiple teams at a single project can open a wide trajectory of opportunities for a software engineer to surf. Now, RPA is not just an automation process rather it has reached to the new horizons of becoming more efficient and intelligent with the underpinning of artificial intelligence.